CaliforniaHauntedHouses.com features all of California's best haunted houses, hay rides, mazes, pumpkin patches, haunted attractions and fall fun that you're looking for the 2019 Halloween Season. Whether you're a thrill seeker looking for the best local haunts across California, or you're looking for Fall Festivals, and the more family-friendly side of Halloween Fun, CaliforniaHauntedHouses.com has what you're looking for. 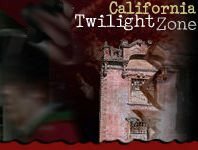 Since 2005, CaliforniaHauntedHouses.com has helped locals across California make the most out of the Halloween Season with comprehensive listings for all of STATE CA's best attractions, including dates of operation, in-depth bios, photos, social media feeds, and so much more! Our blog also features a deeper look into this year's Halloween Fun, including the latest Haunt News, Halloween Fun & Games, Seasonal DIY ideas, and the nitty gritty details of California's REAL Haunted attractions. Have a local haunt and want to get listed? Give us a call at 888-228-5265 and speak to a CaliforniaHauntedHouses.com representative today! Do You Have What it Takes to Brave Ultimate Terror Scream Park this Halloween Season? Experience Over 20,000 Square Feet of Terror at Blind Scream Haunted House! Take on the Undead this Halloween Season at ASG Zombie Invasion! Find Out All About the Horror That Awaits this Halloween Season at The 17th Door Haunt Experience! Tons of Terror to Take Place this Halloween Season at Heartstoppers Haunted House! Work at a Haunted Attraction Here in California this Halloween Season! Knott's Berry Farm Auctioning Off Memorabilia Including Haunt Items! Can You Find All 13 Superstitions? Celebrate Friday the 13th at All Saints Lunatic Asylum! Get Your Scare On this Holiday Season at Christmas Haunted Houses Here in California! Check Out What Terror is in Store this Halloween Season at Nightmares Echoes of the Past! Check Out the Heart-Pounding Fun Happening this Halloween Season at Ultimate Terror Scream Park! Do You Have What it Takes to Journey Fear Overload Scream Park this Halloween Season? Tons of Heart-Pounding Fun Happening this Halloween Season at Intermission Productions Haunted House! Check out What's in Store this Halloween Season at Cross Roads Escape Games!